Any real house producer knows that the beat is the most important part of any 4/4 track. Phat kicks, original FX, hyped up buildup loops, cool drum fills and transitions, innovative claps, dope snares, sparkling closed and open hats and clever percussion are the heart of your song. 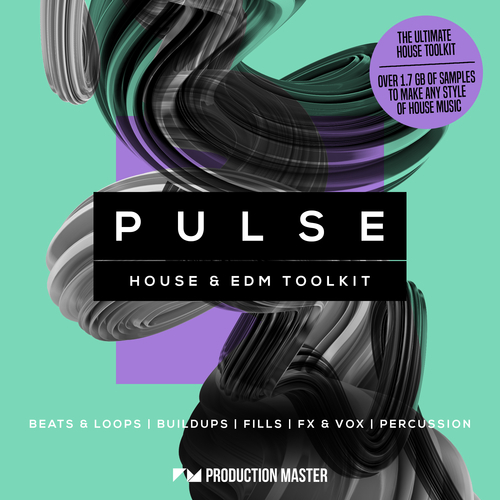 With “Pulse”, you will gain a drum and loops library of epic proportions to make any style of house music. Pulse covers 1.7+ GB of deep house, future house, pop house, bass house, tech house, progressive house, classic house and funky house loops and drums. Created by award winning producer Venemy, this is a most useful library for anyone who takes making house, EDM and dance music seriously. All content was made with various drum computers, both new and vintage and ready to be dragged and dropped into your productions.